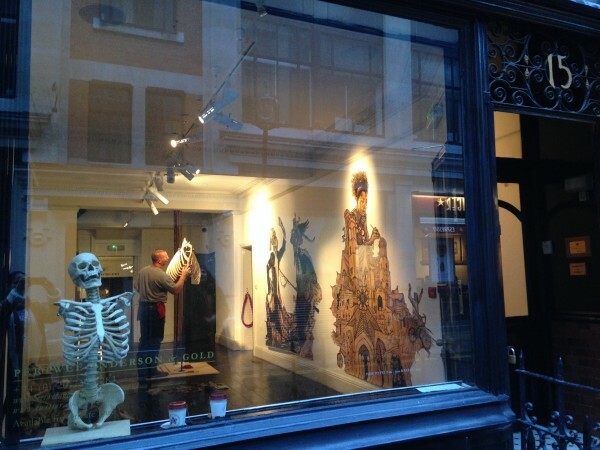 We spent a week working for Pertwee, Anderson, and Gold art gallery in Soho London building a human and horse skeleton for artist Dr. Viktor Schroeder of Germany. Big thanks to James Golding for making this happen and the spectacular support staff that made things go smoothly during or stay. Hectic is the word for 2014!! We have been working non-stop and it looks like the trend will continue. We are still filling anatomy orders from the American Association of Equine Practitioner’s Conference in December and have been inundated with work since! 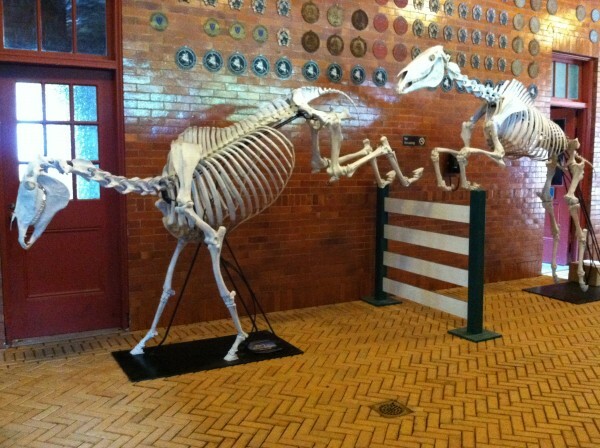 Just this January we have been off to the International Hoofcare Summit in Cincinnati Ohio, Bethany College in Morgantown West Virginia(equine limbs), Wayne County West Virginia(full skeleton), The University of West Virginia Evansdale Campus (full skeleton), and are leaving today for London England to build three skeletons for an art gallery in Soho. When we return we have a full skeleton to build for an art gallery in NYC and another full skeleton for the University of Prince Edward Island in Canada. Pictures to follow!! Contest winners are Jane Rodgers of the UK and UW Madison School of Veterinary Medicine. Congratulations!! Louie and Louise, Jumping and Landing skeletons! Here is a unique project which artist Zoe Strecker of Lexington Kentucky challenged me with. 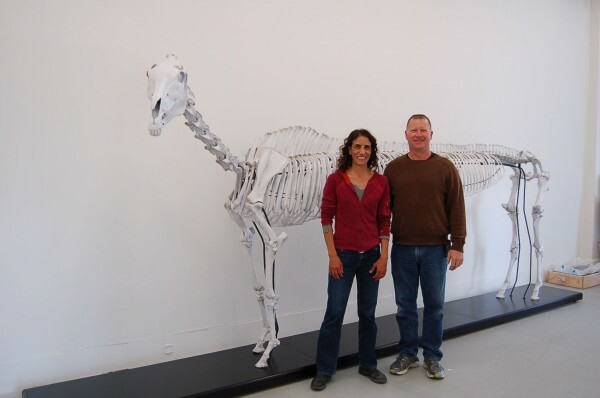 She had a vision of a stretch limo sized thoroughbred skeleton and wondered if I could build it for her. It is really wild to see in person and I thank Zoe for challenging me with this project. For all the headaches it caused I am really happy to have worked with her on this! Breeder’s Envy in Louisville Kentucky with Zoe Strecker and Walter Varcoe.